Cricket Wireless is kicking off the new year with a promotional offer aimed at switchers. 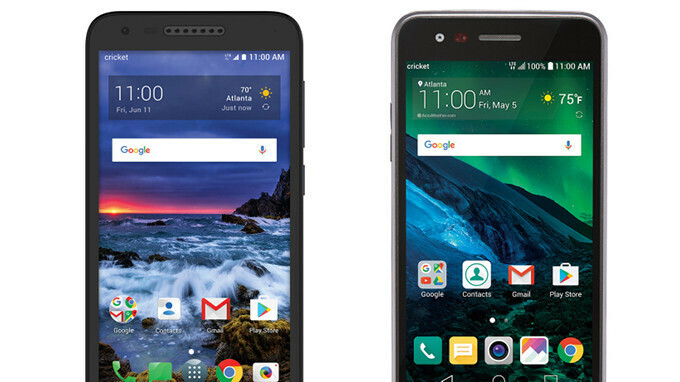 It's not the first time the US carrier offers free smartphones to those who switch, but you can now choose between two budget-friendly handsets made by Alcatel and LG, respectively. In fact, you can even have both the Alcatel Verso and LG Fortune if you decide to add two lines of unlimited data for $80 per month. We've already talked about the Alcatel Verso, a smartphone that Cricket started to sell for $30 not long ago, so let's see what the LG Fortune has to offer. Well, the LG Fortune (also known as LG K4 2017) is an entry-level handset that sports a 5-inch display and a 1.1GHz quad-core Qualcomm Snapdragon 210 processor, coupled with 1GB RAM and 16GB of expandable storage. There's one other promotion available to those who want to switch and upgrade phones for their whole families, as Cricket offers them 4 unlimited data lines, along with four free smartphones, for just $100. All the deals announced by the US carrier are available until April 12, while supplies last. Cricket would be alright if they had Phones that could complete with MetroPcs . I'm Staying Put.